Should You Use a Personal Injury Settlement Calculator? 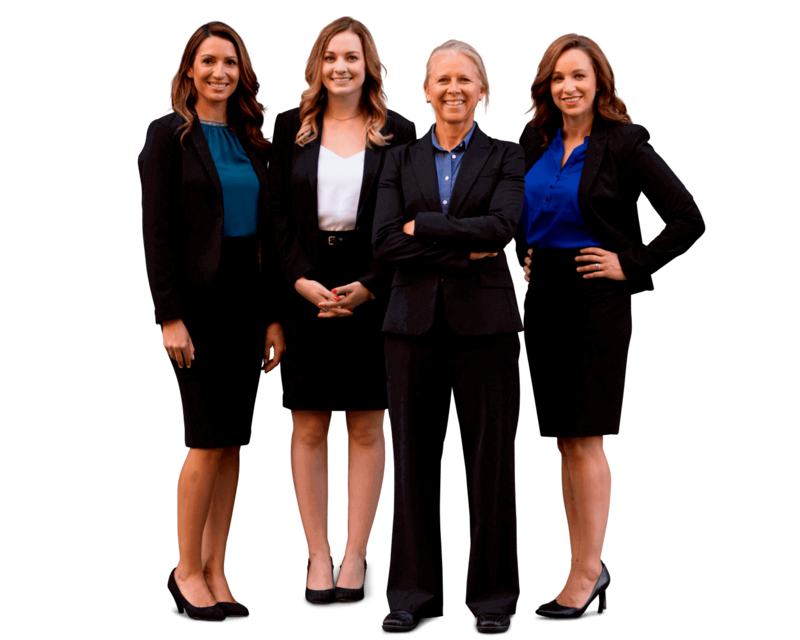 Hey, thanks for checking out the Sally Morin Personal Injury Lawyers personal injury legal blog where we try to give useful tips to help our readers maximize their personal injury cases. In this article, I want to explain a few things about using a personal injury settlement calculator and why they should not be relied upon. If you are curious about how much your personal injury case is worth, you’ve likely done various Google searches. I’m sure you’ve seen personal injury settlement calculators on a lot of legal websites. They purport to estimate your damages in a personal injury lawsuit based on your medical expenses and non-economic damages such as pain and suffering. Basically, you fill in a few fields on a form such as your medical expenses, property damage, lost wages and other things of that nature. The calculator then estimates your non-economic damages (such as pain and suffering) based on the economic damages you incurred as a result of the injury or accident. From there, it magically spits out a number telling you how much your total settlement is likely to be worth. As you are probably able to deduce from my tone, I don’t put much stock in a personal injury settlement calculator. Even if they turn out the exact number that your case ends up resolving for, it’s only because of random chance and happenstance. For instance, if a computer were to randomly generate hundreds of numbers, it would eventually generate one that aligned precisely with your settlement amount. That does not, however, imply that randomly generating numbers is an effective way to determine what your settlement is likely to be. How Do Lawyers Actually Evaluate Personal Injury Claims? NOT with a personal injury settlement calculator! The majority of states, with a few exceptions, accept the fact that in any given case more than one party may be to blame. That means that even in cases where any individual driver is partly to blame for an accident, they may be entitled to damages when another party shares more of the burden than they do. This is called comparative negligence. Juries must decide what percentage of the burden of negligence a plaintiff (the person bringing the claim) has in a personal injury claim. This would reduce the defendant’s (person against whom the claim is brought) liability, and of course it would also reduce the damages a plaintiff is likely to receive from a settlement. Does a personal injury settlement calculator take this into account? Of course not. How would an individual be able to assess their percentage of negligence? That is up to the jury or an arbitrator to determine. You can’t just randomly enter a number into an online calculator and expect it to know how much liability will be attributed to each party. To sum it up, a personal injury lawyer must be able to prove that the at-fault individual or company actually was negligent in some way and that resulted in your injuries. The next thing that a lawyer would be responsible for doing is determining the extent of your injuries. For instance, in a car accident perpetrated by a drunk driver, the driver can be held criminally responsible for the crime of driving inebriated and civilly liable for your injuries. Injuries can include your past and future medical expenses, lost time from work, pain and suffering, inability to do your normal chores, family responsibilities and activities and any property damage that occurred. Do settlement calculators take all of this into account? No. Lost wages are another area where settlement calculators go awry. Consider, for instance, you’re an investment banker making a lot of money that is documented by your employer. Compare this to a stay-at-home mom who may be working very hard, but has no wages to report. A settlement calculator doesn’t understand how to factor the stay-at-home mom’s predicament into its equation. Meanwhile, an effective injury attorney can maximize a settlement in either instance. The same goes for calculating the earnings of a self-employed person. It’s just not so cut and dry as inputting an exact number into an online personal injury settlement calculator. An experienced accident lawyer will know what evidence and facts to present to make a solid loss of earnings claim. In personal injury cases, determining damages means determining the impact of the injuries on your life. For instance, if you were a competitive tennis player that will never pick up a racket again due to injuries sustained through the negligence of another driver, you can claim more damages than someone who may have missed 6 months of playing recreational soccer. Ultimately, determining what damages are owed to you can’t be done by such a crude formula. In the majority of car accident cases, it’s the insurance company that ends up paying the damages to a plaintiff in a case. Insurance companies have a vested interest in keeping their settlements as low as possible, and they hire hardball adjusters and high powered attorneys in order to do just that. Not only that, but insurance companies are only responsible for paying up to the amount that the insurance policy covers – or the “policy limits.” Often times, the limits of a driver’s insurance policy are much lower than you might need to cover all of your damages. Most drivers are out on the road grossly underinsured. So, your claim may be “worth” a certain amount, but the likelihood of recovering that amount from the insurance carrier is nil if the policy limits are too low. Having a solid, experienced personal injury lawyer is crucial in determining what insurance coverage is available or if other assets might be an option for recovery. When you have someone to battle both the insurance company and the defendant, it can have a major impact on your settlement amount. One last thing to consider is this: not every jury or arbitrator is going to rule the exact same way. In many instances, two identical cases with two identical plaintiffs that sustain the exact same injuries can end up having two vastly different settlements. In other words, there’s no way to know how much your settlement will be, and any lawyer who tells you differently is not being truthful. There’s no way for a lawyer to determine what the outcome of your traffic accident case will be. So, the notion that it can be reduced to a simple equation is not merely beyond the realm of possibility, but it is also wildly misleading. It’s important for plaintiffs to understand that every case is different. Personal injury settlement calculators have a nasty tendency of either overestimating or underestimating the value of a case. For these reasons, we encourage you to avoid falling into the trap of using a simple online personal injury settlement calculator. Almost all experienced and qualified personal injury lawyers offer a free case evaluation. So, you should take advantage of that to see what specific factors of your case will determine the financial outcome. Not just some random numbers plugged into an online calculator.